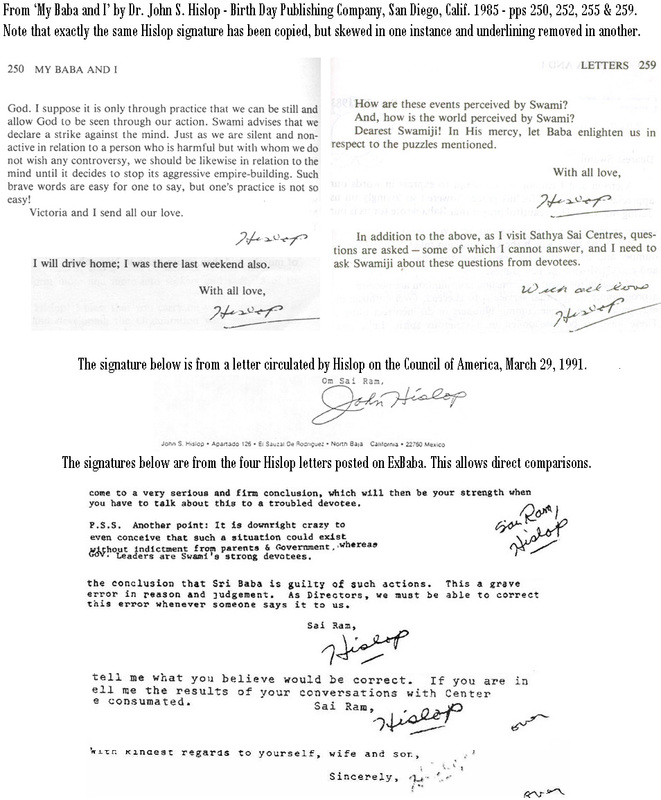 For the sake of those who may wish to believe that the signatures on the Hislop letters are not genuine, ExBaba also here presents other signatures by Dr. John Hislop for eventual comparison with those on the letters already presented. This serves to help establish further the authenticity of the letters (in the minds of shocked believers and even some wilful and determined doubters!) The letters were photocopied Organisation headed notepaper, for reasons that seem all too obvious when one reads the contents about the need for extreme secrecy and destruction after reading (!) from a typewritten original - the standard method back in the early '80s. 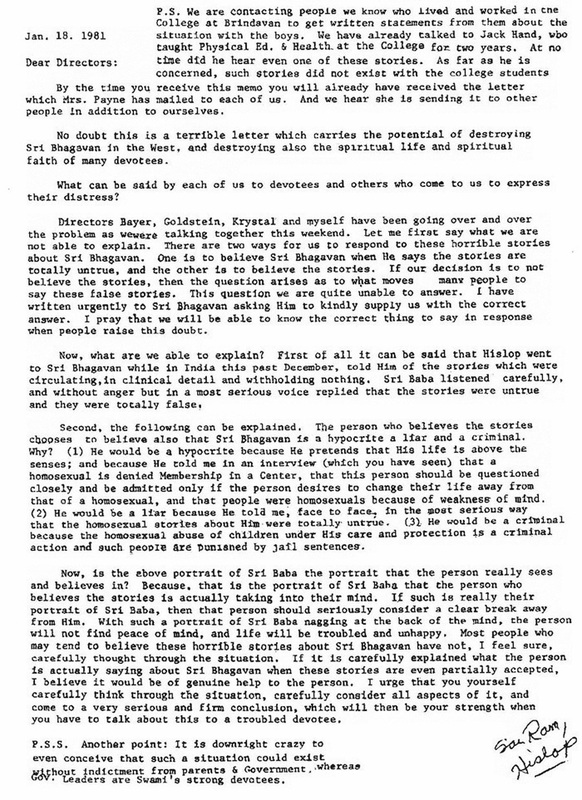 They were not on official Sai Organisation headed notepaper, for reasons that seem all too obvious when one reads the contents about the need for extreme secrecy and destruction after reading! One does not need to be a handwriting expert to see that ALL signatures are by the same person. For a start, compare the direction of the pen strokes and links between letters, the underlinings of his name. One would need to be a blindly trusting Sai devotee to doubt that all by one and the same hand. The last signature was probably made with a pen which was running out of ink! The letter it authenticates will be posted on ExBaba with due comments later. But the signature, though weak, is still recognisable. Also the word 'over' occurs in several of the letters, and the 'o' compares very well with the 'o' in Hislop's signature.